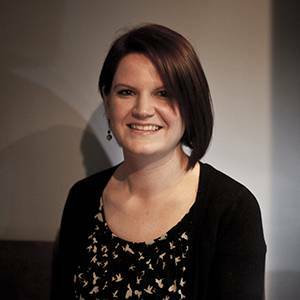 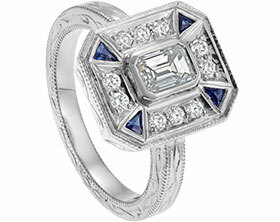 Michael surprised Jessye with this stunning 9ct white gold engagement ring. 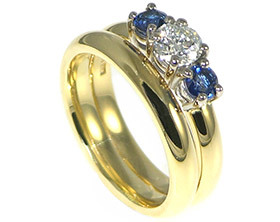 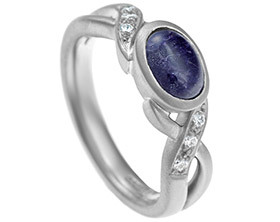 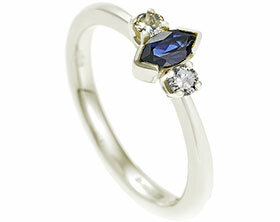 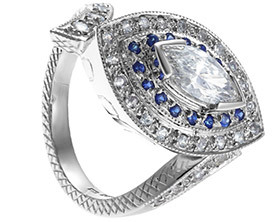 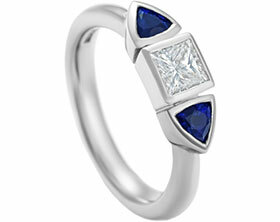 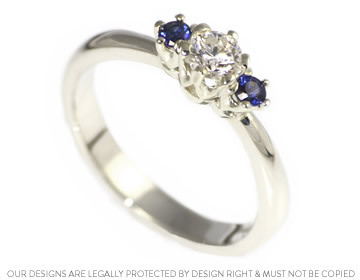 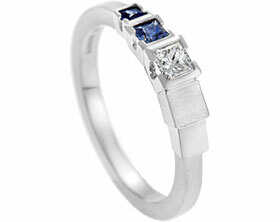 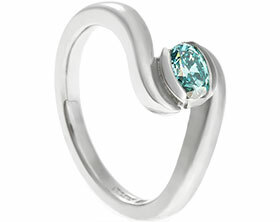 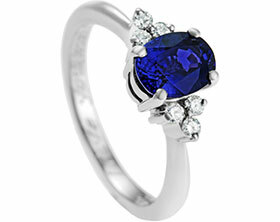 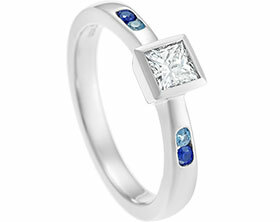 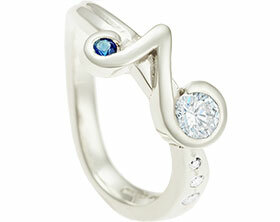 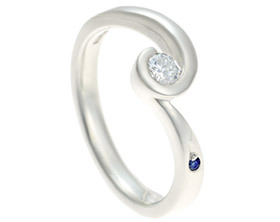 The claw settings hold a central 4mm (0.27ct) brilliant cut H Si diamond and two 2.5mm brilliant cut mid blue sapphires. 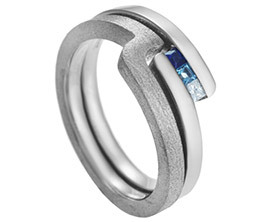 The delicate band is 3mm wide with a D shaped profile and tapers gently towards the settings.